Once again it is the time of year where National Day is around the corner. On 9 August 2017 Singapore celebrates 52 years of independence. Our family faithfully hang the Country Flag to commemorate this day. It was my late mother whose words we always treasured...she said you must hang the Singapore Flag every year. She said that if there is no Country, there is no Home. 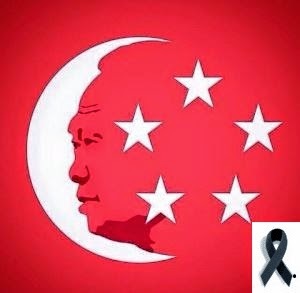 It is also on this day we remember the Later Mr Lee Kuan Yew. From merdeka to now, Singapore have seen many challenges under his leadership. We survived because of good leaders and now we have to see how we stay strong to the hard works done by past leaders. SINGAPORE... my Country, My Home. A place where I feel safe as long as I am Home. No matter how far I travel I know you are always there where I can come back to rest my body and mind.